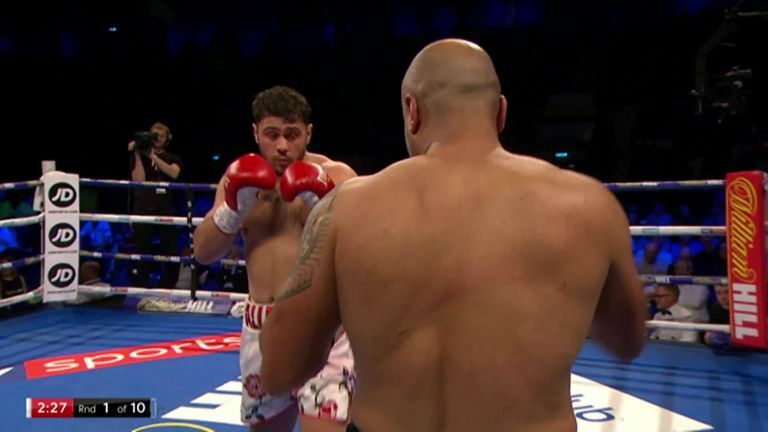 Watch Allen vs Browne on Saturday's O2 bill, including Chisora-Gashi, Josh Kelly & Joe Cordina, live on Sky Sports from 7pm. Such playful behaviour has earned Allen a large following of fans, who regularly interact with 'White Rhino' and his ever changing social media identity, which is currently listed as 'Papi De La ALLEN ALLEN ALLEN'. Allen's natural response is humour, a refreshing approach to an unforgiving sport, but his eagerness to entertain proved costly ahead of his last crucial bout. On the day of his Commonwealth title clash with Lenroy Thomas, Allen went walkabout, touring a number of locations around Sheffield to meet fans ahead of his appearance on the Bramall Lane undercard for Kell Brook's IBF title fight with Errol Spence Jr. Allen would later produce a lethargic performance as the pitter-patter of Thomas earned a split decision win. He has linked up with new trainer Darren Barker, who knows all about seizing a defining moment, having worked his brittle body into career-best shape to claim the IBF middleweight title with a valiant win over Daniel Geale. If ever Allen needed wise counsel, it is now, and Barker will be well placed to issue a few stern words of instruction if Allen's discipline is tested by his desire to appease the crowd with a bout of showboating. For Allen to reach this point, where he is mixing with some of Britain's best upcoming talent, and a respected warrior like Chisora is testament to himself as the 27-year-old has overcome bouts of depression that threatened to curtail his career. His continued success has inspired others and victory over Samir Nebo led to an outpouring of joy, with fans chorusing his name in Newcastle while Alan Shearer, the normal fans' favourite, joined in the applause. Speaking last year, Allen told Sky Sports: "It's really important to me that people don't just look at me as a joke character. I want them to look at me and say 'Yeah, David Allen is a nice man, a funny man,' but the first thing I want them to say is 'David Allen is a very good fighter.'" It's time for Allen to snarl, rather than smile this Saturday.